This 1674 series Vollintegral is outfitted with amboina root wood handle scales and a classic Boker Tree logo. 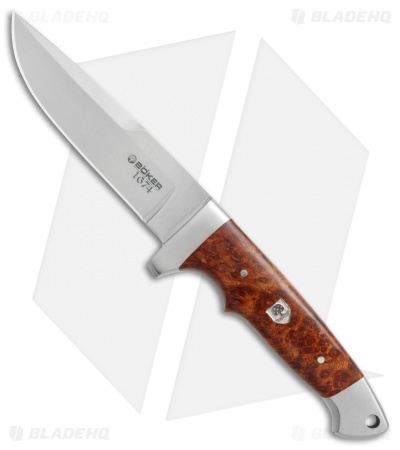 The Boker 1674 series celebrates 343 years of the Boker Tree coat of arms with special L.E. versions of their most popular knives in limited runs of 343 pieces. 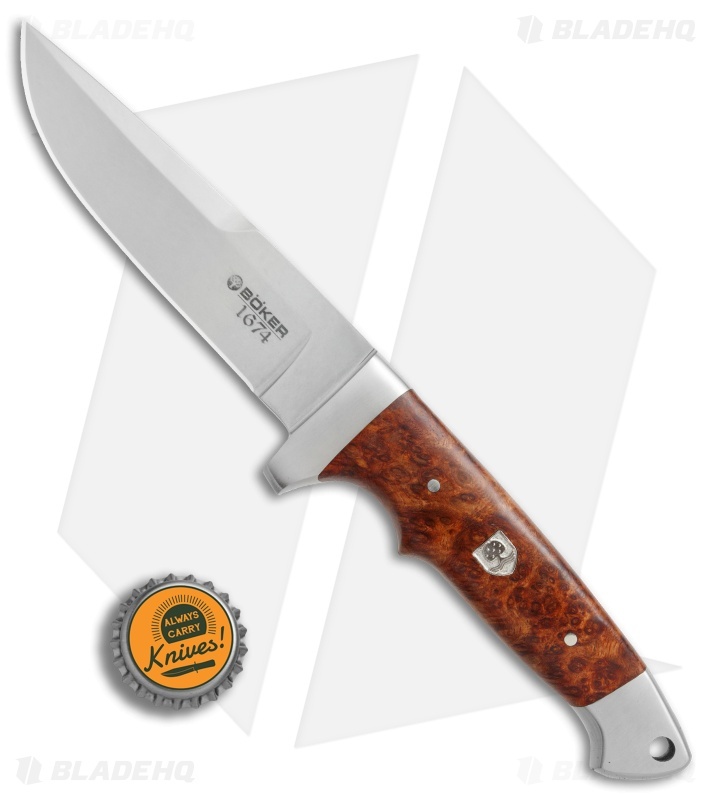 Boker's Vollintegral 2.0 improves upon the original design with optimized ergonomics and increased strength. 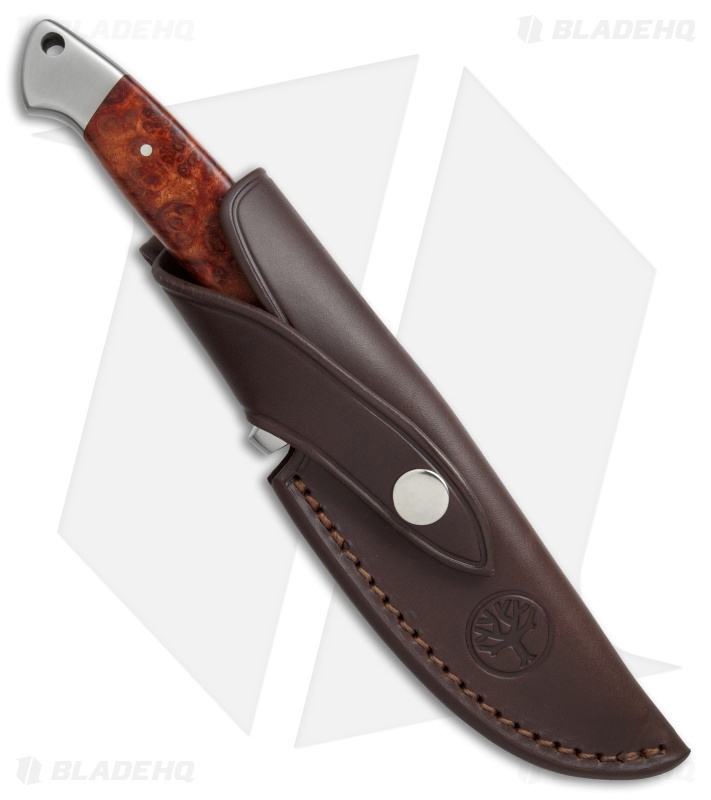 The amboina wood handle features rounded edges for comfortable handling and aesthetic appeal. Its satin finished 440C stainless steel blade has a flat grind to improve overall cutting performance. Includes a genuine leather belt sheath. 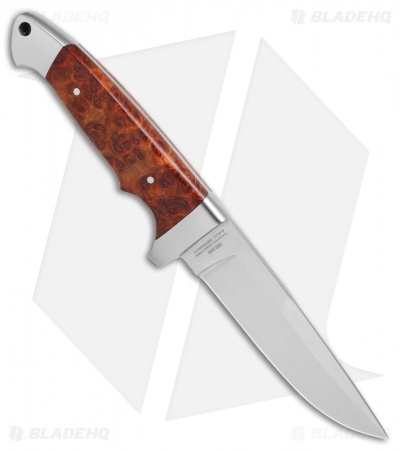 Full-tang construction for a durable, dependable build. Ergonomic amboina handle offers a comfortable grip during use. Flat ground 440C blade provides increased strength and corrosion resistance.